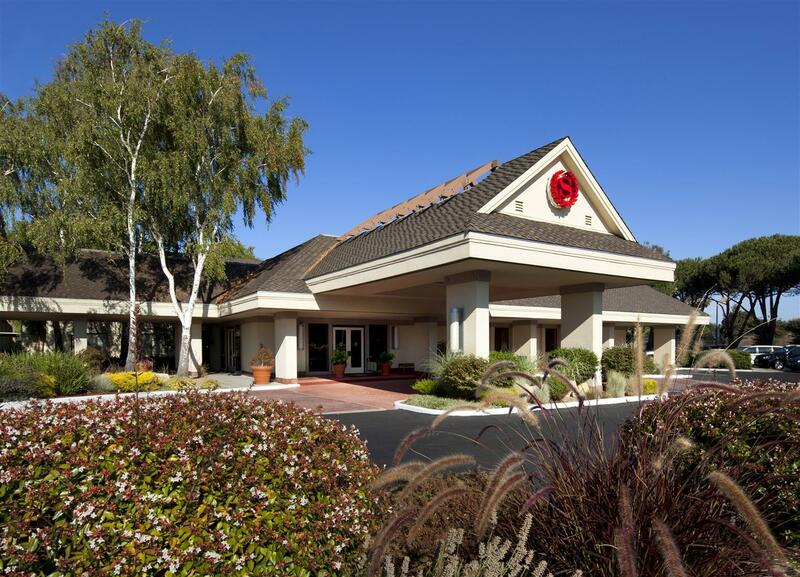 We offer a garden-style setting for a calm, resort feeling in the heart of sunny Silicon Valley. With easy access to most major freeways, our serene location is a 45-minute drive to San Francisco, Santa Cruz and other scenic coastal destinations. Beyond our resort-like amenities, from an Olympic-sized pool to a whirlpool and 24-hour fitness facility, we offer our lobby and award-winning Mediterranean restaurant, plus almost 5,000 square feet of meeting space. Our 173 oversized guest rooms offer exterior and interior courtyard views, including Deluxe and Club Level rooms and one Suite. All feature wireless High Speed Internet Access, LCD HDTVs. Faz Restaurant: Faz Restaurant presents an experience for all the senses, to savor many times over: freshly prepared, perfectly seasoned salads and entr es in a striking bi-level setting with a gorgeous 180-degree garden view. Breakfast buffet and menu served daily.